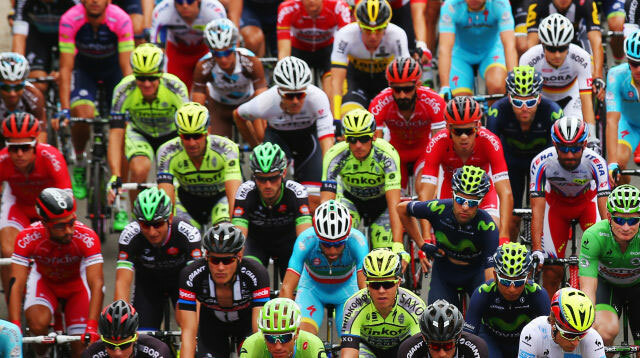 The Tour de France, the most prestigious bike race in the world, ends July 24. One thing we can't help but notice: Women are not crossing the finish line with the men. The event is in its 113th year, and the organizers are proud of its tradition. But if that tradition excludes women, isn't it time for a change? In the 1980s, they made an attempt: The Tour de France launched the Tour Cycliste Féminin (a sort of equivalent women's race) and held it intermittently between 1984 and 2009. The 1984 Tour Fémnin was 18 stages compared to the men's 23 stages, covered only a fourth of the distance, and the winner took home a tiny fraction of the men's prize money. It ended in 2009 because of lack of funding, a bad cycle (pun intended) women's sporting events often find themselves in — limited coverage leads to no sponsors, which leads to no event. Women are currently allowed to compete in a one-day race called La Course by Le Tour de France (doesn't that just roll off the tongue? ), which started two years ago. This one-day race is just 90 kilometers and is a response to a petition asking that women be allowed to compete in the men's race. The classic sexist arguments against women athletes are the same in cycling: that one, they aren't as strong as men, and that two, they don't bring in the same revenue. These arguments are, in many ways, holding women back.